Dothan, Ala.-based Southern Coaches placed an order for two new J4500 coaches from Motor Coach Industries (MCI) that are set to be delivered this fall. The new J4500s will make Southern Coaches one of the nation’s first operators to offer passengers MCI’s most updated coach, which features a new ZF independent front suspension and Bendix adaptive braking that gives the J4500 a tighter turning radius and a more responsive ride. The J4500, which also recently underwent a design change, additionally offers standard features including flat-screen video monitors, tiered theatre seating and LED lighting, plus performance features including an optimized powertrain for better fuel economy. 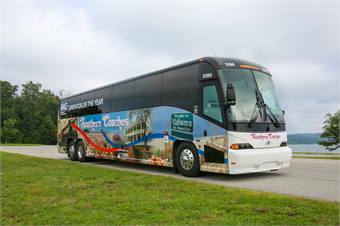 Southern Coaches additionally opted for 110-volt outlets at every seat along with Wi-Fi as part of the company’s desire to offer customers their favorite amenities. 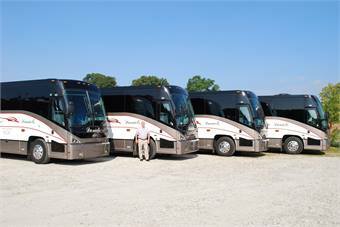 The International Motorcoach Group (IMG) named Southern Coaches as its 2014 IMG Operator of the Year. Altogether, Southern Coaches operates a 24-coach fleet that includes 14 J4500 coaches. Additionally, Daniel’s Charters, based in Lula, Ga. recently added four J4500s to its fleet of 32 vehicles and plans as part of plans to expand to a second location in Duluth, Ga., by the end of the year. Daniel’s four new MCI J4500s are equipped with Cummins engines, Allison transmissions, back-up-cameras and higher-end interior options including plush, leather-trimmed seating and wood-grain flooring.